Josh Cole, 11, had just wrapped up his role as Leroy in the school production of Bugsy Malone when he began seeking something else to fill his time after school. He searched the internet and inquired about volunteering at a local hospital but was told he was too young. 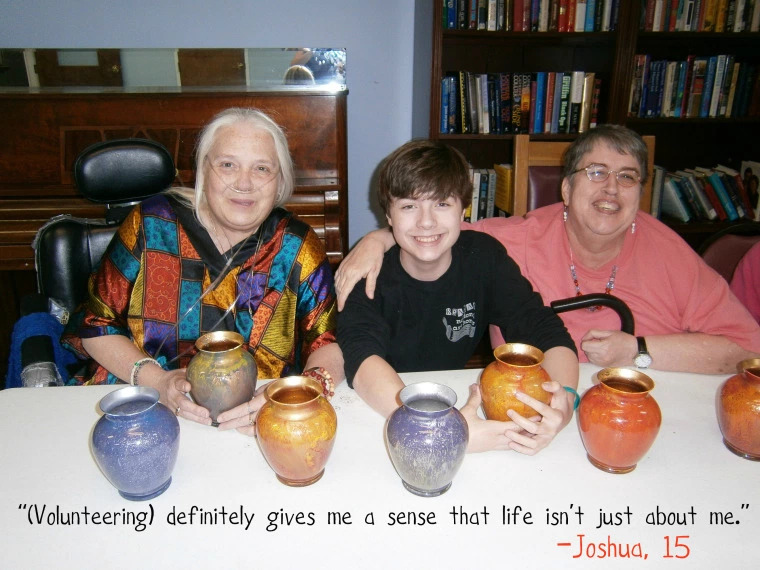 In February, Josh made a call to Horizons, a DePaul Senior Living Community in Canandaigua, New York. A tour from Activities Director Curtis Sanger was all it took. “This place looked like a happy place so I came here,” Josh said. This week is National Volunteer Recognition Week. At DePaul, we are blessed with dozens of community members who dedicate hundreds of hours of service doing everything from crafts and bingo to giving hand massages and facilitating pet therapy at our senior living communities and mental health residences in New York and North Carolina. Volunteers also come in many ages. 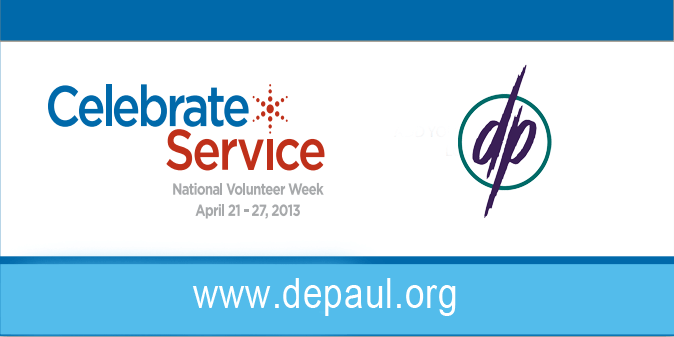 At DePaul, more than a handful of our volunteers are juggling homework, sports and theater and chores. They can’t drive yet, relying on rides from their parents or even taking the bus after school to volunteer. Their motivation is simple. Volunteering is fun! “The residents are great because you can learn stuff from them and sometimes you find you have things in common,” said Josh who volunteers his time at Horizons at least once a week. The seniors have interesting stories to share, said Josh, like the female resident who holds the record for catching the largest trout in Canandaigua Lake or Josephine Mardis who just loves to chat. Josephine enjoys Josh’s company just the same. Fifteen-year-old Joshua Grimes, the son of Activities Director LaDonna Grimes, has been volunteering at Southfork, a DePaul Senior Living Community in Winston-Salem, North Carolina for the past five years. Joshua also volunteers assisting youth with developmental disabilities in riding horses. He said volunteering has helped him see beyond his day-to-day life. “It definitely gives me a sense that life isn’t just about me,” he said. Once a month, the Ziegler’s, a group of five brothers, spend time with residents at Westwood Commons, a DePaul Senior Living Community in North Chili, New York. Brothers Jared, Cameron and Joshua and twins David and Daniel range in age from 15 to 8-years-old. Their mother Christine Ziegler said volunteering has instilled communication skills, a comfort level with senior citizens, and instilled the importance of serving others in her sons. “We have formed some wonderful relationships and my boys really look forward to it,” she said. 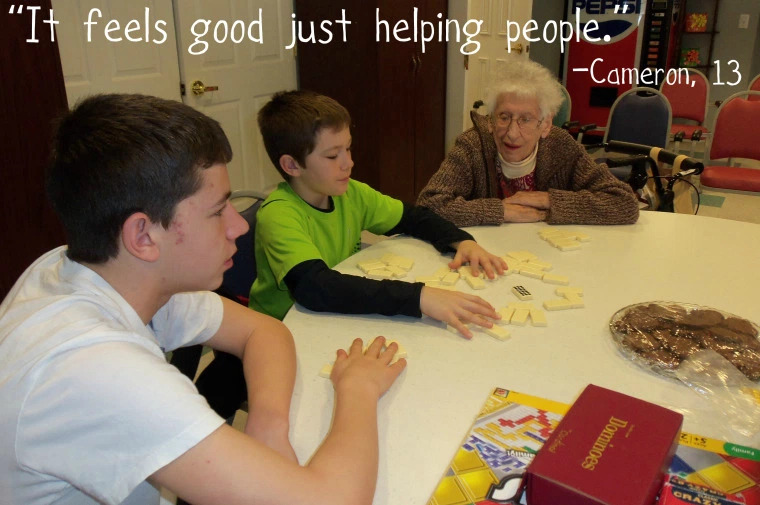 Cameron, 13, said he really enjoys meeting new people and playing games with residents. “Afterwards it feels good just helping people out and doing good life stuff,” he said. Thanks to volunteers near and far for making our world a better place! Thanks to all our volunteers for the one-on-one attention that can make someone's day great!